March 2011: Back when I lived in Indiana for a brief period, there was a local chain wing shop called Wings Etc. 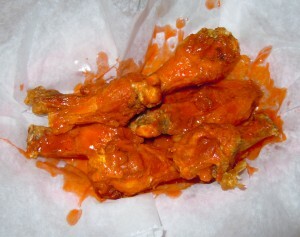 Their wings were fantastic, and it’s the only thing I’ve missed since I moved back to Ohio. OK, so Wings Etc hasn’t been on TV as far as I know. So why am I including them in my list of reviews? It’s simple. They make the best wings I’ve had anywhere, ever. They’re consistently the best. The different locations are all equal. They’re just good. I’ve eaten wings at dozens of other places, including the original Anchor Bar in Buffalo, NY. Wings Etc makes better wings than all of them. What’s a good wing in my opinion? They need to be cooked properly. I like my wings crispy, even when coated in sauce. 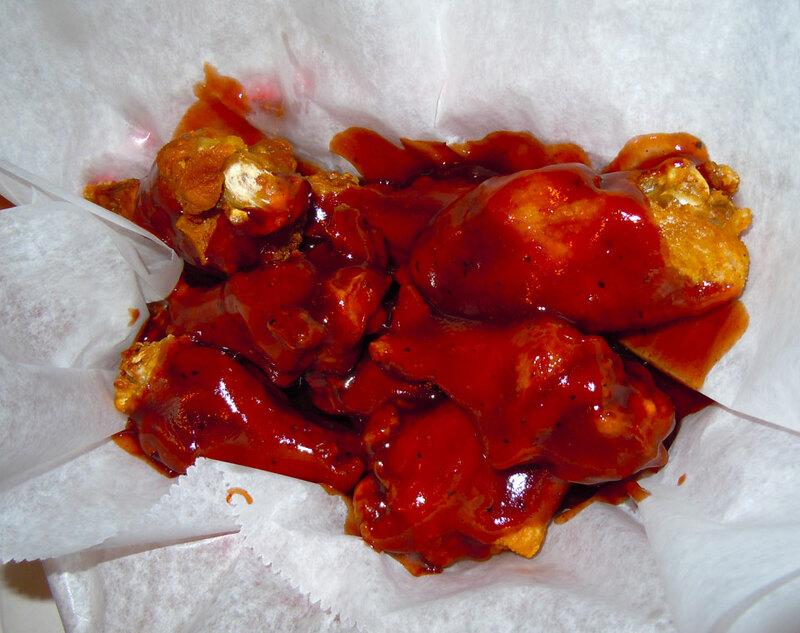 Wings Etc cooks them to a crispy perfection, and you can even order them extra crispy. In addition, their wings aren’t tiny like some of your national chains. When they say jumbo, they mean it. They’re a good size, so you’re getting a lot of meat, rather than just sauce and skin. Like everyplace else, they offer a variety of sauces in varying heat levels. (They also have a “Wall of Flame” challenge for their hottest sauce.) 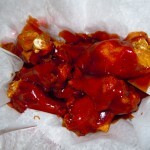 The buffalo varieties are delicious, but I’m a super big fan of the house made BBQ sauce. I’d a flip flop covered in that sauce (as Guy Fieri might say). The wings are just simple and delicious. Nobody does it better. Wings Etc also has a full restaurant/bar menu, but I’ll be honest. I’ve never tried anything else. Supposedly, they have some fantastic wood fire smoked ribs. I’ve also had my eye on this 1/2 pound hot dog called the homewrecker. I’m going to have to try it next time I go. They have roughly 20 locations now, so if you’re in that northern Indiana area, you should be able to find one near you. I’ve been to locations in Elkhart, South Bend and Mishawaka, and the food is always consistent. The service is usually decent, although I’ve never been to a location during peak hours. (I hear they get pretty busy, so the service slows down.) If you’re a wing lover passing through Northern Indiana on the turnpike, the location in Elkhart (where I stopped to take these photos) is literally right off the exit, so it’s definitely worth stopping. You’d be crazy not to. Bring me some wings back for me while you’re in there.